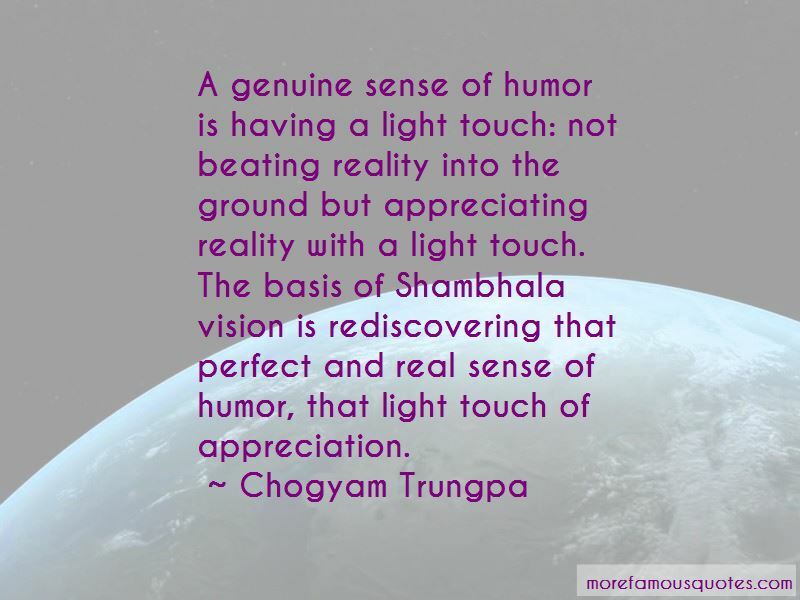 Enjoy the top 180 famous quotes, sayings and quotations by Chogyam Trungpa. Nowness is the essence of meditation. Whatever one does, whatever one tries to practice, is trying to see what is here and now. One becomes aware of the present moment through such means as concentrating on the breathing. This is based on developing the knowledge of nowness, for each respiration is unique. It is an expression of now. If you look into the mirror, you see that [every part of you] belongs there and you belong there, as you are. You begin to realize that you have a perfect right to be in this universe, to be this way, and you see that there is a basic hospitality that this world provides to you. You have looked and you have seen, and you don't have to apologize for being born on this earth. While you're meditating, all kinds of thoughts arise ... You don't find your thoughts threatening or particularly helpful. They just become the general gossip of your thoughts. This traffic of your thoughts and the verbosity of your mind are simply part of the basic chatter that goes on in the universe. Just let it go through. 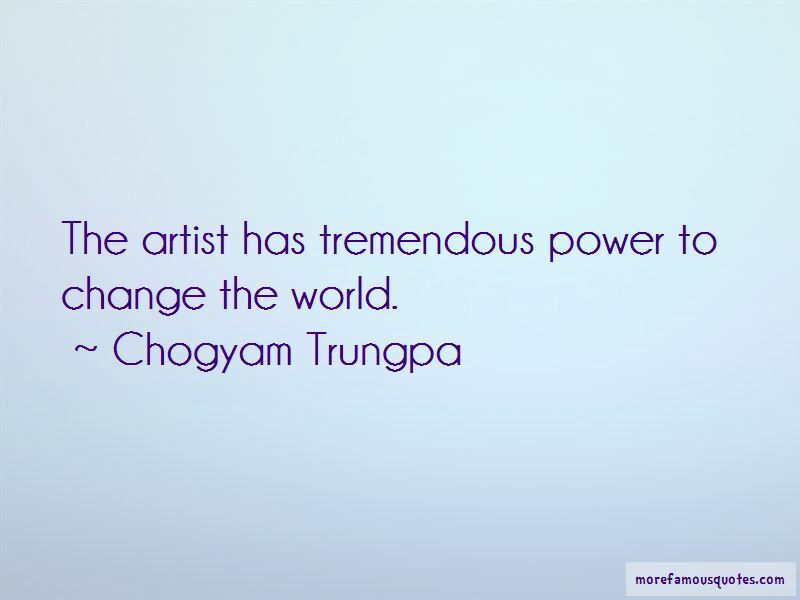 Want to see more pictures of Chogyam Trungpa quotes? 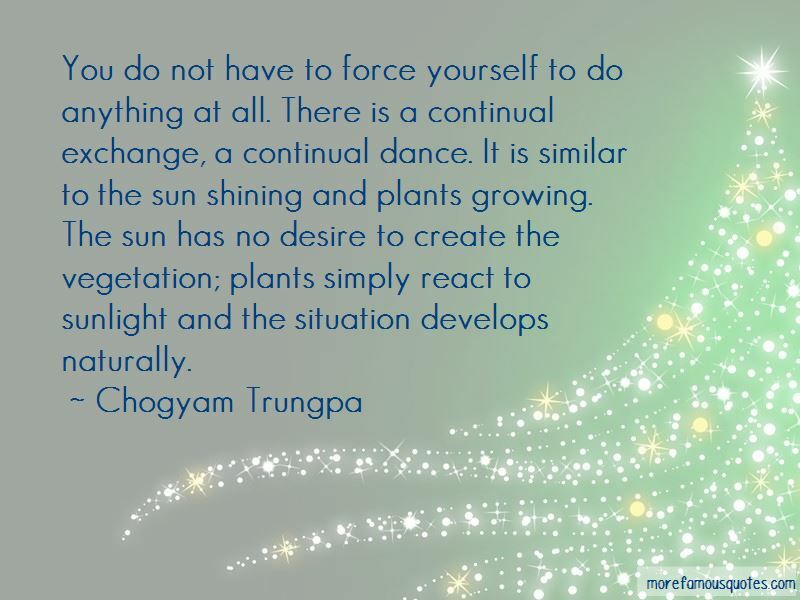 Click on image of Chogyam Trungpa quotes to view full size.